I first came here with my high school friend, M, for lamb hot pot (review here). After 2 – 3 weeks of eating in restaurants, mum wanted street food, somewhere where the locals eat. 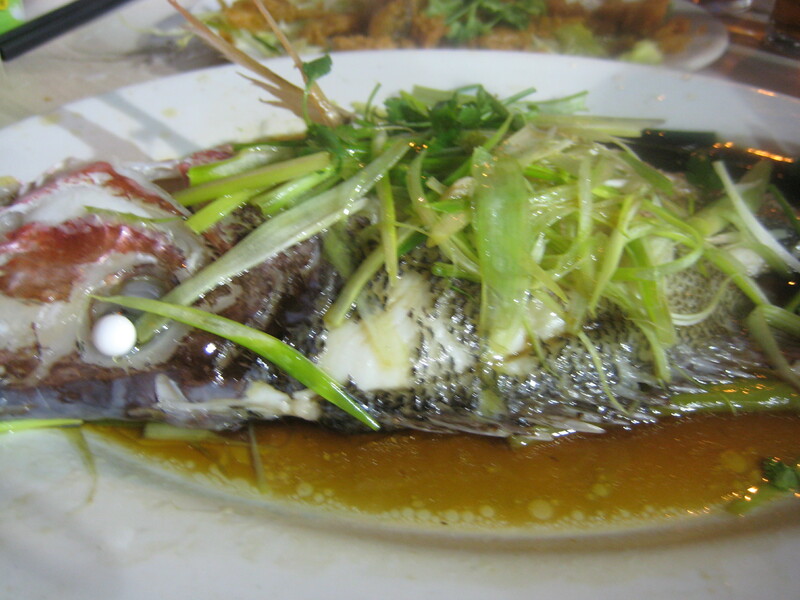 I could have taken them to a cha chaan teng but they wanted seafood and thought of Ming Kee. This place can be found behind the markets in Causeway Bay and one of the best thing about it, is that you get to sit on the streets – it was quite a novelty for my brother! 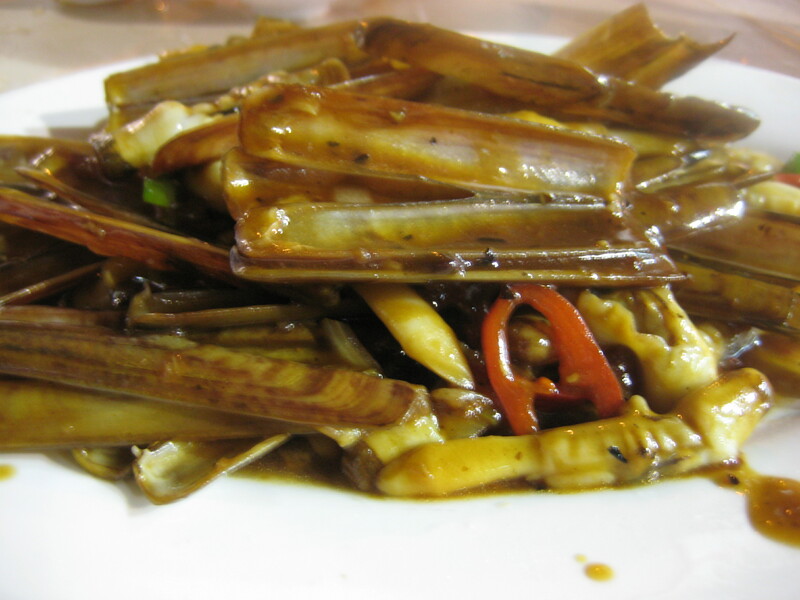 We started off with the razor clams – cooked in black bean sauce and chili, these clams were tasty. The clams were soft and cooked to perfection and the sauce – incredible. 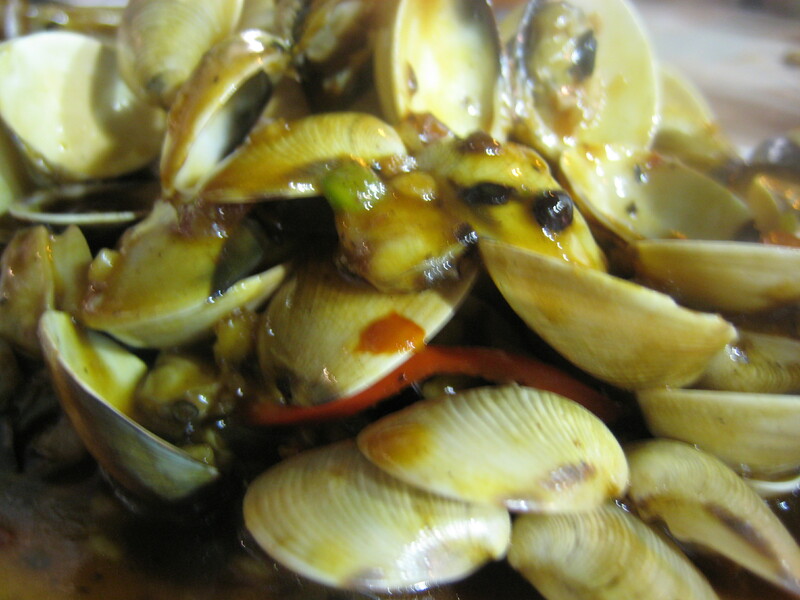 Pipis in xo sauce with a hint of chili was a favourite amongst the diners. We were all fighting to eat the pipis – sadly to say I lost, and F, my brother won! 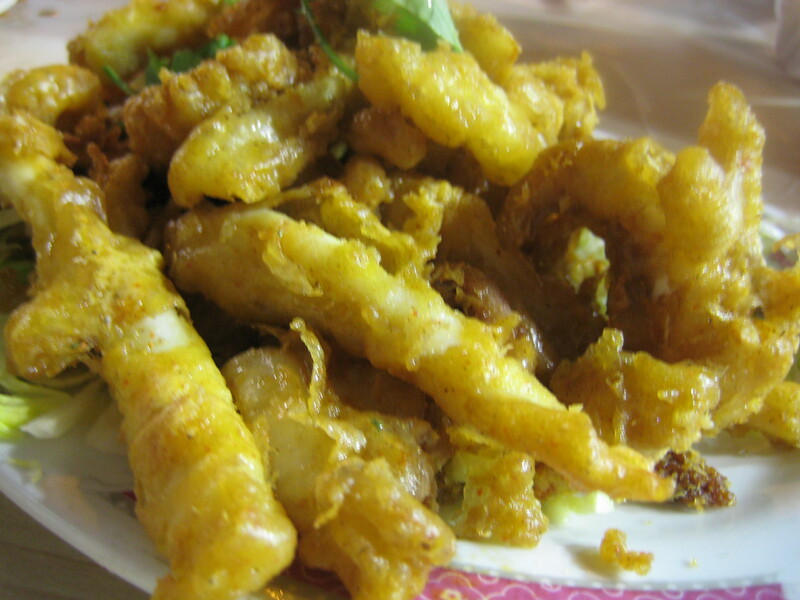 Salt and pepper calamari – a favourite dish of my brothers. This was good – the batter was just right and the calamari not too hard or chewy. 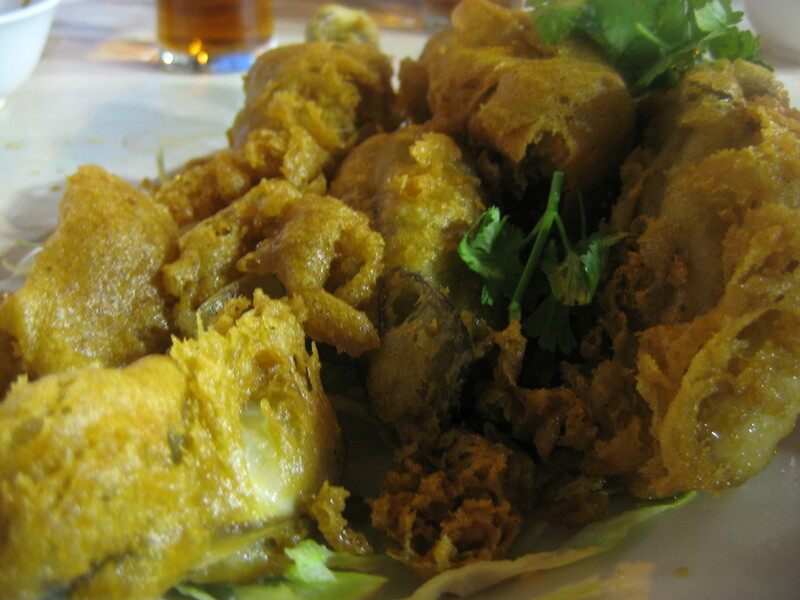 Deep fried oysters – these were amazing! The oysters were fat and juicy, and again batter was just perfect. I have to say, one oyster each was simply not enough. 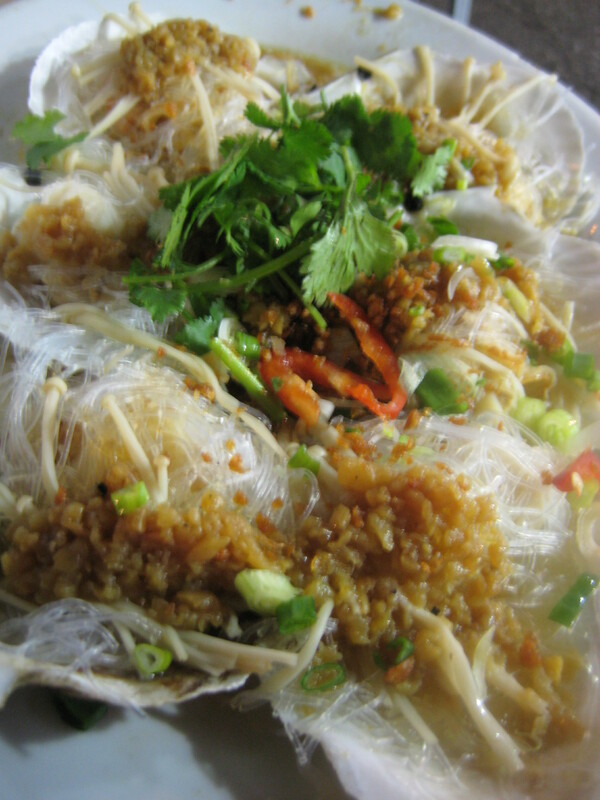 Steamed scallops with vermicelli and garlic. This was delicious but a little too garlicky for my liking. 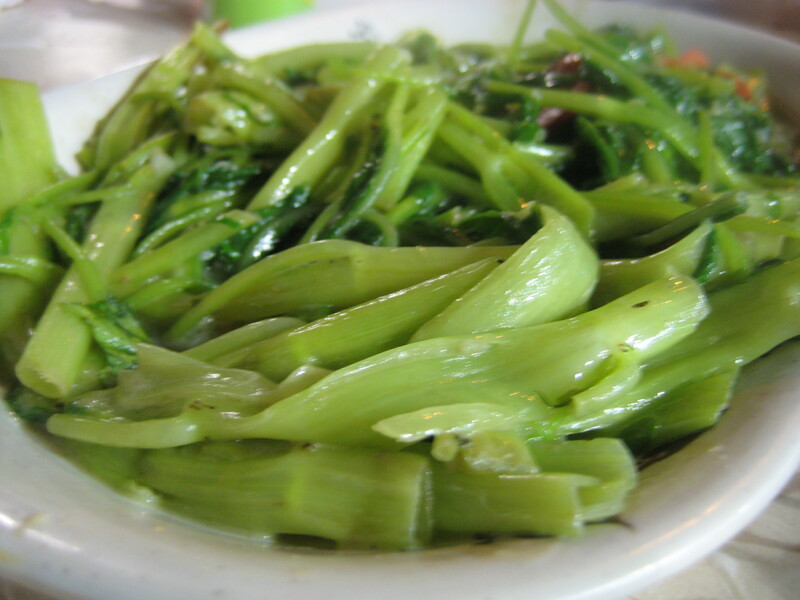 Last but not least – vegetables – this was simple yet wonderful dish. We can never have a meal without veggies. I bought a couple of durians at the fruit market near the restaurant. No guessing where we ate the durian – discretely of course but I am sure those who can’t stand the smell would have smelt it. This was the perfect supper to end the perfect trip. Family had a fabulous time in Hong Kong and traveling around China – Xi’an, Beijing, Shenzhen, and Guangzhou. They had an amazing time. Come again soon! We didn’t get to eat everything on the list! Next time, there is always NEXT TIME! i love street dining 😀 the deep fried oysters sound amazing! ehm, i’m allowed to have deep fried oysters, right? the fried oysters were absolutely delish!!!! !